New build soon Alexei ? this unit is amazing! LR artillery for GLA ! other units will be in your next release ? Looking forward to see some new units :). Pion can use chemical shells. Since I really like fighter jets, do you have some plans to add some new air units (besides those which are temporary removed)? Yes, GLA will receive new fighter/bomber depending on the function I'll give it. China may have new one also. Will it deploy before firing, or just stop moving? Also, how exactly it will function without a turret? Nice to see that magnificent beast in your mode, great work! hope it will have good fire and blast sounds! I hope to find nice one. The progress continue. 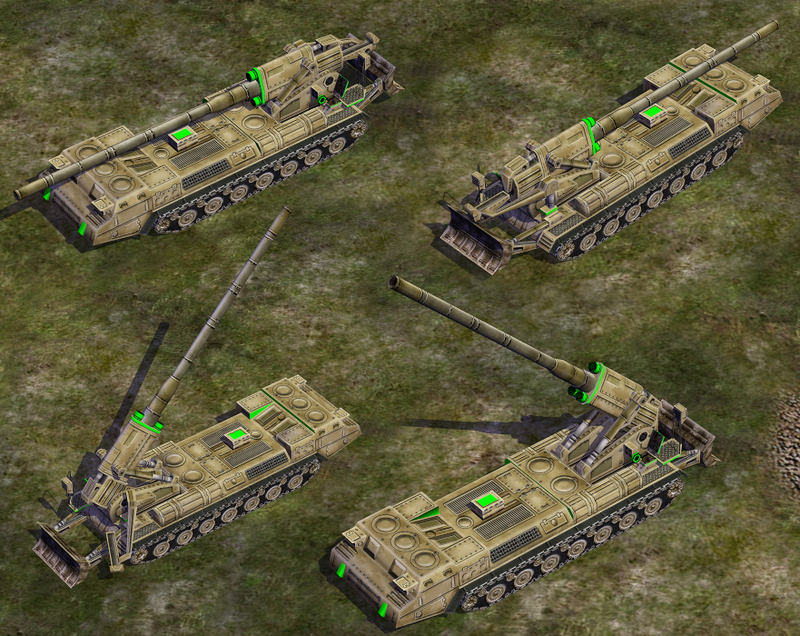 GLA Pion Heavy Artillery is opening the creation of next big version. See you soon with other units updates.